TVS Motor is one among the leading two-wheeler manufacturers of India, staying just behind Hero and Honda in terms of production and sales. One among the most reputed brands for mass market products, the Indian manufacturer has tried entering niche segments like Apache RR310 in the previous months. The increasing interest of buyers in 150cc+ bikes helped TVS post huge numbers for their naked Apache series, including the sharp and confident RTR 200 4V. 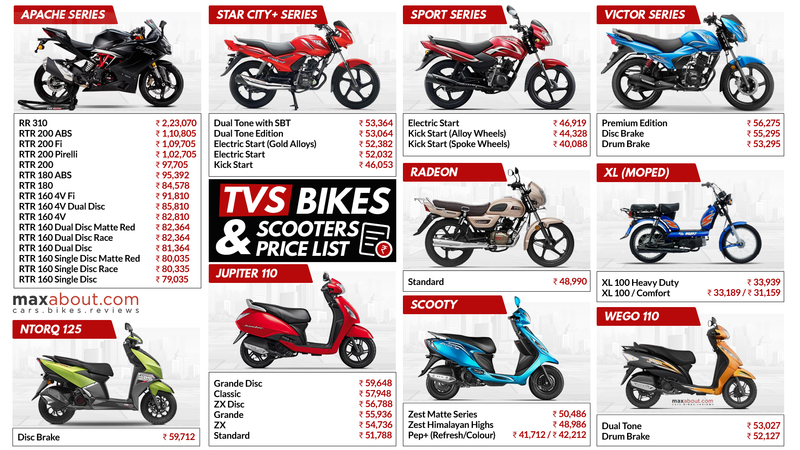 TVS is the only brand to offer moped named XL100 in the Indian market while Jupiter ranks second among the best-selling scooters of all time. They have retained the decade-old Victor, Star City, and Sport brand names, with new products like Radeon further improving overall sales.